Try an about face and you're up against one of the city's handsomest walls. 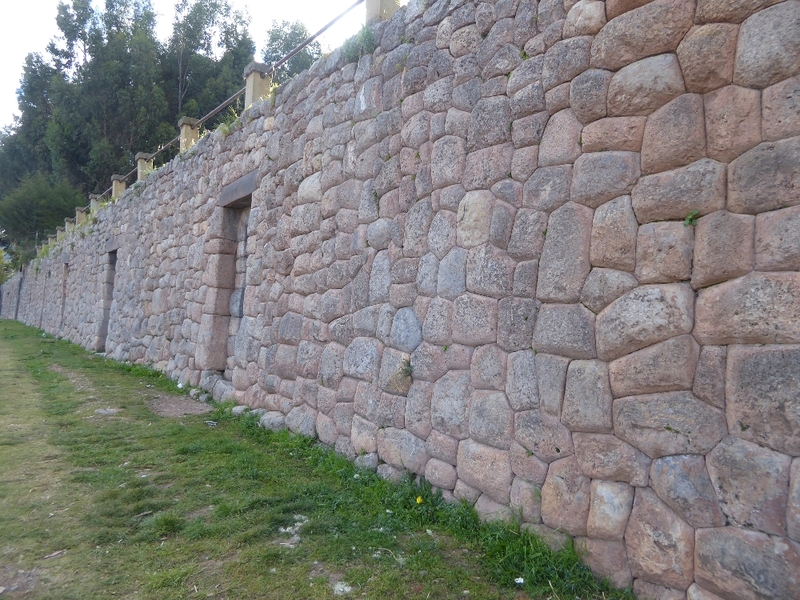 It's adjacent to the San Cristobal church and is the most visible surviving bit of the Colcompata, the palace of Pachicuti, founder of the glorious or at least most expansive phase of the Inca state. For a century or more, a private house, more or less hidden by greenery, has sat atop the wall. The masonry style, neither cyclopean nor coursed, is aptly called cellular. Mortar? Pleeease! You know better.